"Issa Rae is an American actress, writer, director, producer, and web series creator. She first attracted attention for her work on the YouTube web series Awkward Black Girl. She subsequently gained further recognition for creating, co-writing, and starring in the HBO television series Insecure. For her performance in Insecure, she has received two Golden Globe Award nominations for Best Actress – Television Series Musical or Comedy, in 2017 and 2018. Since 2011, Rae has continued to develop her YouTube channel, which features various short films, web series, and other content created by people of color. As a child, Rae lived in Potomac, Maryland, where she grew up with "things that aren't considered 'black,' like the swim team and street hockey and Passover dinners with Jewish best friends." When she was in sixth grade, her family moved to the affluent View Park-Windsor Hills neighborhood of Los Angeles where she attended a predominantly black middle school where Rae said she was "berated for 'acting white'" and initially found it difficult to "fit into this 'blackness' I was supposed to be." Rae graduated from King Drew Magnet High School of Medicine and Science, where she started acting. Her parents divorced when she was in high school. In 2007, Rae graduated from Stanford University with a major in African and African-American Studies. As a college student, she made music videos, wrote and directed plays, and created a mock reality series called Dorm Diaries for fun. At Stanford, Rae met Tracy Oliver, who helped produce Awkward Black Girl and starred on the show as Nina. After college, Rae received a theater fellowship at The Public Theater in New York City. Oliver and Rae started taking classes together at the New York Film Academy. Rae worked odd jobs and at one point was struggling to decide between business school and law school, but eventually abandoned both ideas when Awkward Black Girl started taking off in 2011. Rae's web series Awkward Black Girl premiered on YouTube in 2011. The show follows the life of J (played by Rae) as she interacts with co-workers and love interests who place her in uncomfortable situations. The story is told through first-person narrative as J usually reveals how she feels about her circumstances through voice-over or dream sequence. The series eventually went viral through word of mouth, blog posts, and social media, resulting in mainstream media coverage and attention. In an effort to fund the rest of the first season, Rae and producer Tracy Oliver decided to raise money for the series through Kickstarter. On August 11, 2011 they were awarded $56,269 from 1,960 donations and released the rest of season one on Rae's YouTube channel. Rae eventually partnered up with Pharrell and premiered season two of the series on his YouTube channel, iamOTHER. Rae also began releasing other content on her original channel, predominantly created by and starring people of color. In 2013, Awkward Black Girl won a Shorty award for Best Web Show. Rae created Awkward Black Girl because she felt the Hollywood stereotypes of African-American women were limiting and she could not relate to them… By using YouTube as her forum, Rae was able to have autonomy of her work since she writes, films, produces, and edits most of her work. Rae's other shows—Ratchet Piece Theater, The "F" Word, Roomieloverfriends, and The Choir, among others—also focus on African-American experiences that are often not portrayed in the mainstream media. In 2013, Rae began working on a comedy series pilot with Larry Wilmore, in which she would star. The series, about the awkward experiences of a contemporary African-American woman, was eventually titled Insecure. HBO picked up the pilot in early 2015 and it was subsequently greenlit. Since its release in 2016, the series has gone on to receive critical acclaim; Eric Deggans of NPR wrote that "Rae has produced a series that feels revolutionary just by poking fun at the life of an average, twentysomething black woman." In 2017, the American Film Institute selected it as one of the top 10 television series of the year. 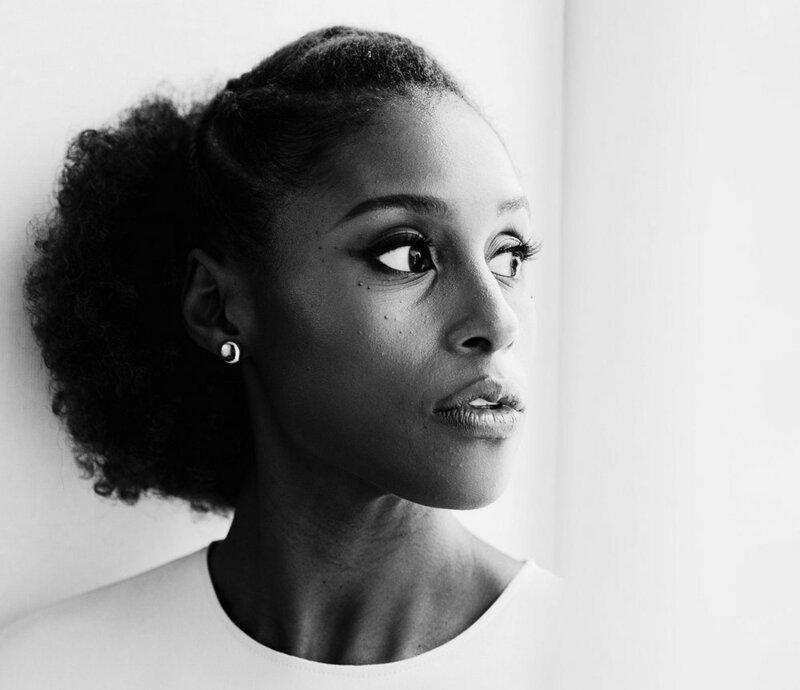 For her performance in Insecure, Rae has earned two Golden Globe Award nominations for Best Actress – Television Series Musical or Comedy, in 2017 and 2018. On November 14, 2016, HBO renewed the show for a second season. The second season premiered on July 23, 2017. On August 8, 2017, it was announced that the show was renewed for a third season.